Kastle Kare is a licensed agricultural care and pest control provider servicing residential and commercial properties around Los Angeles and Ventura counties in California. The owner of the company approached me to help him with his website. He was unhappy with his current web person and felt as though he was being over charged for services that were not being done. He was also unhappy with the look of the site and wanted me to spruce it up a bit. 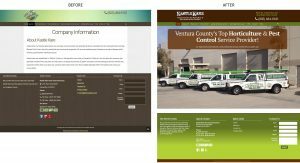 He did not want a complete redesign, but instead wanted to colors to look better and he also wanted some search engine optimization. I updated the CSS and came up with a more earthy and upbeat color scheme. I also optimized every page by adding appropriate titles, keywords and tags. 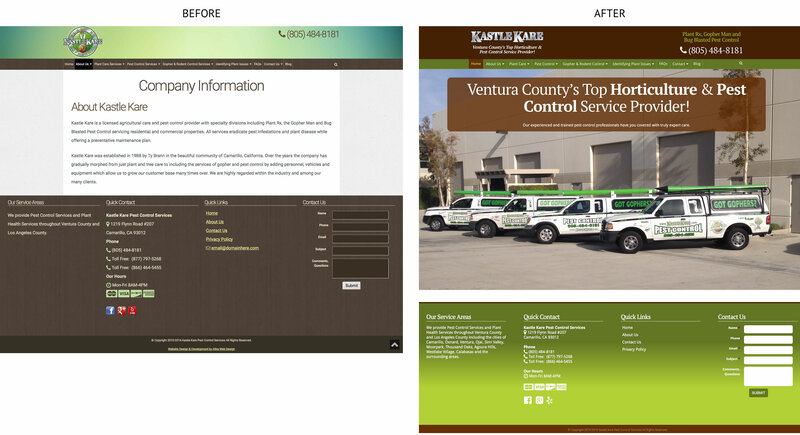 His website now comes up first in local search results for pest control and plant care.